Ticket Includes: Jurassic World 2: Fallen Kingdom Movie, Drive In Karaoke & Popcorn! Book now for Jurassic World 2: Fallen Kingdom – DRIVE IN MOVIE, this T-Rex of a movie will be shown on our huge 36 foot screen and being held at Barleylands Craft Village and Farm Centre Car Park, Billericay, Essex CM11 2UD. 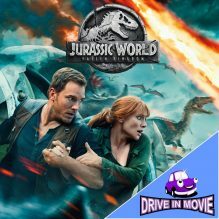 Brace yourself for this magnificent Dino Drive-In movie experience, bring your family and marvel at the latest Jurassic World film. A fantastic spectacle and thundering audio experience. Strap yourself in your car and check your wing mirror, the dinosaurs are coming! With great sound transmitted to your FM car radio. Your ticket includes a bag of popcorn. 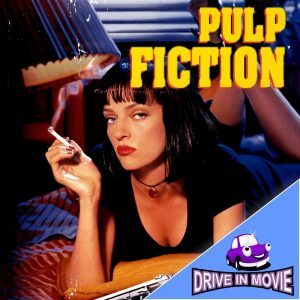 This promises to be a fantastic night at the Drive In Cinema with with perfect film, food and fun! Round up friends and family and book it now! 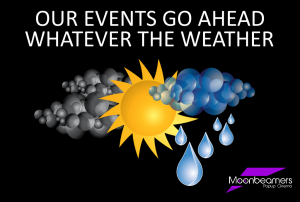 Moonbeamers invented it! Come along and give it a try!